Happy 4th of July! Today in the United States we celebrate our Independence. Our challenge this week at The Perfect Sentiment is a reflection of that freedom. Create anything you like using our Nation's colors and don't forget to include your sentiment on the front! 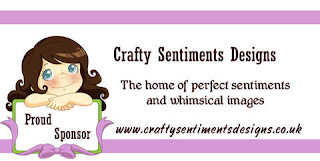 We have a new sponsor this week: Crafty Sentiments Designs. Crafty Sentiments Designs will award one lucky random winner 3 free digis of their choice. 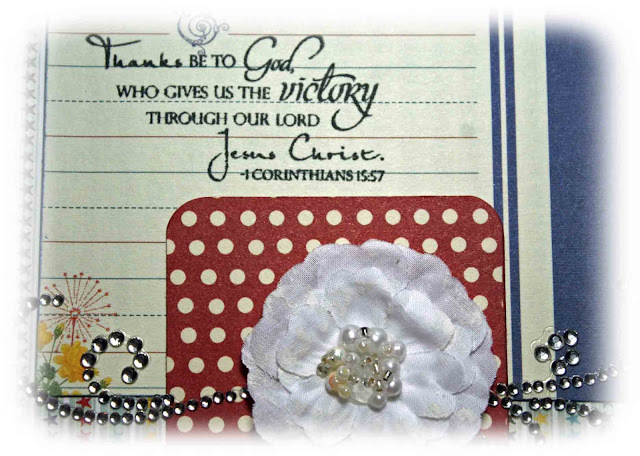 I chose to create a card with a subtle patriotic flair and focus on a Scripture that speaks about the "Victory" we have through our Lord. After all, God made the first sacrifice by giving His only Son to take away our sins so that we could be free from all the shame and guilt. I used a white flower on top of the red polka dot pattern to symbolize how His blood washed away all our sins and we are now white as snow. Take a moment to stop by The Perfect Sentiment to see inspiration from the rest of the Design Team. Get inspired and come join the fun! Thanks for stopping by my blog today. I pray that you all have a blessed Independence Day. Your card is stunning and just love that flower and the symbolism. Gorgeous, hope you have a great day. Hi Jennipher! Thanks so much for sharing your time, talents, and beautiful art with us in this week's challenge at Word Art Wednesday. We are blessed to have you join us. I hope you will continue to play along and bless us with your lovely work each week as a participant. Thanks for the invite to play along in your linky party. I've linked my Word Art Wednesday card. I enjoy the sweet fellowship of other crafters. I would love to have you visit my own blog and become a new follower, and if it's OK with you, I'd also love to follow you here. I enjoyed visiting you, and hope to see more of you. Your work is really lovely, and your love for the Lord is a blessing we share! I love all your gorgeous embellishments~esp. the flower! Thank you for sharing your beautiful card, Jennipher, at Word Art Wednesday! Beautiful card Jennipher. Love the bling you used and the scripture is just right for the holiday. Gorgeous card Jennipher! Wonderful details and scripture!! This is so beautiful in sentiment and design. Love all the layers and that background paper with the stars is adorable! Love this card, Jennipher!! The symbolism is fantastic as it represents our true freedom that is found only in the Lord Jesus Christ!! Blessings and hugs!! This is beautiful, Jennipher, and so rich in symbolism. I love that scripture, it really is ideal. Hope you enjoyed your day! This is lovely, Thank you for joining us at Incy Wincy and good luck..
Great card, love the bling! Thanks for letting me know about the sentiment challenge, I did add the sentiment to the top, but didn't get it uploaded in time. Oh well, maybe next time, lol! 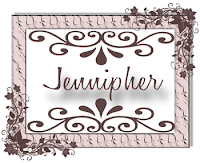 This is a beautiful card Jennipher. The flower and the bling are simply amazing and I love the note card and bible verse! Thanks for playing along at Use It Tuesday! Stunning card! Love flower and bling bling, it is all so well put together. Thank you for joining us at Use it Tuesday! The elements you've chosen for this card are beautiful, Jennipher! You've created a lovely card :) Thanks for linking up at WAW! What a lovely card and just perfect for the challenge at the Creative Card Crew! Love all of the details. Thanks so much for playing along with us this week! Beautiful card! I'm the newest member of the Vintage Rose blog group and your newest follower. I'd love for you to follow me! Absolutely lovely! This is one of my Mom's favourite verses so I have heard it many times. Thanks so much for joining us at Stampin' Sisters in Christ this week. Hope you will join us again on Sunday! What a beautifully design card. Gorgeous elements. This is oh-so-gorgeous!!! Thanks for joining us at Use it Tuesday!! Very pretty! Love the pearls in the middle of the flower! Fabulous card thanks for joining us at Papertake weekly. You always have just the "Perfect Sentiment." I love your card and the bling you added to it. This is so beautiful and very inspirational too! Love the colors and all the embellishing you did with this card. 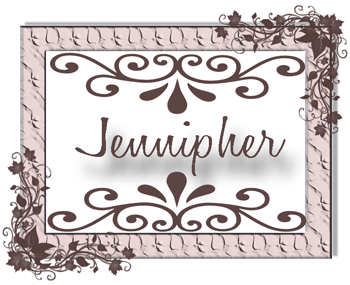 What a gorgeous card, Jennipher! I love the bold blue - such a nice compliment to the wonderful scripture! Love the blend of rustic and elegant. Great card! Love the Note stamp & the sentiment is awesome! Gorgeous card.. great details... love the striped stars dsp... Fantastic! This is beautiful and the symbolism is perfect for our nation's holiday! Gorgeous card!